It is time to finally track your spending and put pen to paper an itemized list of where you spend money each month and how much. 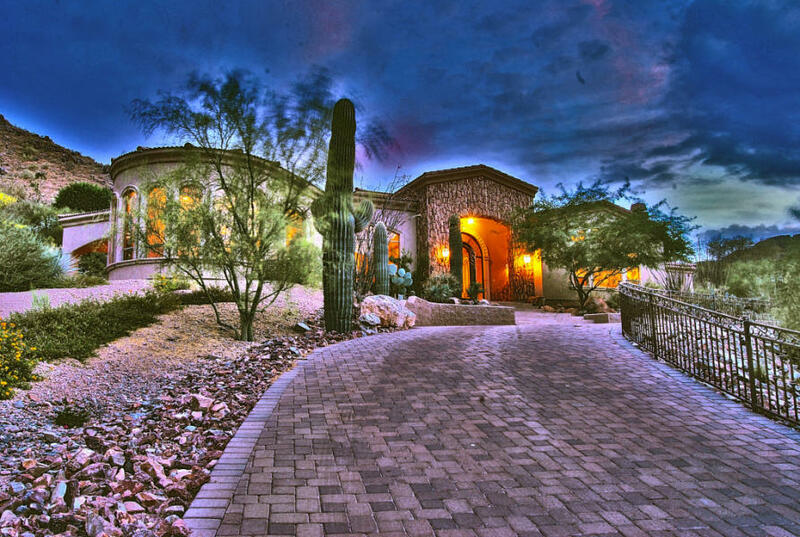 The goal here is to see how much Phoenix home you can afford within your budget. The good thing is right now in Phoenix-Metro area you can own for less per month that what you can rent in many areas so your living expenses might actually go down once you buy! Start with making a list of all your expenses such as utilities and living expenses such as electricity and groceries, then all monthly expenses such as credit card bills, car insurance and yes add your entertainment, clothes, etc. as well. If you spend $40/week on movies and you want to continue to spend $40/week on movies than include it, otherwise remove or lower it to something you feel is reasonable and then follow that. You may be surprised to find out how much money you spend on certain things that with a few minor changes here and there you can drastically reduce your overall monthly expenditures. After you total everything and subtract it from your income you will have a figure. From that figure take a certain percentage off the top to add to your savings accounts and/or retirement plan, etc and the final figure leftover (assuming you already accounted for miscellaneous disposable income in your list) is what you can afford as a mortgage payment with/without any lifestyle changes while growing your savings. The above budget is mainly for your purposes so you can determine during the Phoenix home buying process your comfort level with the money in and money out every month and also help identify spending habits that can be modified to help strengthen your overall financials. Lenders will take your debt such as current mortgage/rent, credit cards, car payments and compare it to your income (aka DTI or debt-to-income ratio). The qualifying ratio will vary by loan program and FICO score but for our example we will use FHA which is 41%. = ($2250/$7250) = .310 or 31% which is well within the standard DTI ratio. Hopefully now you have a good idea of how much you can comfortable afford every month, what changes to you budget need to be made if any and if your debt-to-income (DTI) ratio is in-line with qualifying. If not you may have to pay off some debt to get your ratio where it needs to be as part of the Phoenix home buying process. If you read the previous post in this 11 Steps to Buying a Phoenix Home Series regarding establishing credit we are back to the same notion of maintaining a good credit history. So it will take time. Repairing credit is all about correcting the negative references on your report and keeping the items in good standing …in good standing! There are many reasons one might have bad credit. For the purpose of this post and buying a Phoenix home we will address general misuse or overuse, etc. We will not touch on bankruptcy issues, short sales, or foreclosures in this post as they are different in terms of recovery. When you look at your report there are some things you should keep in mind. If you have too many credit lines this could be hurting your score. You would need to pay off and cancel or at least cancel all but a preferred three cards. The cards that you should keep should be the ones you have had the longest. Longer histories with a creditor helps your score. Try to negotiate lower rates on the three that you keep. Pay down balances on all three remaining cards to 30% or less of the credit limit (10% is better). Put together a budget to pay down any outstanding/delinquent payments or satisfy any debt/judgments. Many times these balances can be settled and negotiated for less than the full amount. 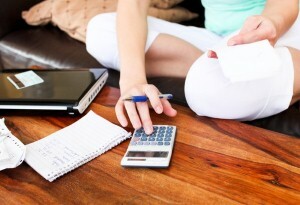 Once your credit is in check make sure you take the necessary steps to keep it that way. Set up automatic payments whenever possible. Don’t wait until the last minute to mail a payment to your creditors. Make sure you don’t overspend or have to high of limits. Report any unauthorized use of your credit. Once you implement these strategies it is just a matter of time and history until you have good credit to buy a Phoenix home. Your preferred mortgage finance specialist can give you a ball park estimate based on your current credit scenario just how long until your credit should be good enough to qualify for the best rates available to buy a Phoenix home. If you have questions or comments on credit issues that are stopping you from qualifying to buy a Phoenix home please post them below, we would love to hear from you! No credit is not good credit. No credit will stop you from buying a Phoenix home. 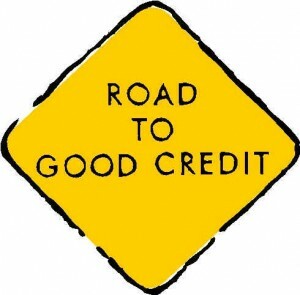 Some people assume they have good credit just because they have not used it or damaged it yet. This is not the case. The good news is there are easy ways to establish credit. I spoke with a client that asked, “Why do I need credit cards in order to buy a home?,” as she had no debt and did not want to get a credit card. The answer is you don’t. You can always save up and pay cash for a Phoenix home which many people sometimes do, however, if you are going to require a loan to finance your purchase you may have to consider the scenario from the lenders POV. If you were going to loan money to someone you will probably want to see that they have a history or managing debt responsibly prior to doing so in order to analyze the risk, i.e. the likelihood they will pay you back. Establishing credit takes time. Having no credit does not illustrate you a.) know how to manage it or that b.) you will not abuse it. You may have credit card offers come in the mail or when you go to your bank. It is ideal that you open three credit lines but no more with either your bank, department store, mail offer, etc. Most will come with a low or zero APR for the first year or so and of course you want the best rate and perks. Instead of paying cash for things like groceries, gas, medicine, etc. just set your cash aside and use your card. Then when the bill comes pay it off with the cash you stashed. If you are going to carry a small balance vs. paying it off completely each month carry no more than 10% of the credit line for an optimal credit rating although paying it off each month in full is ideal. If you only carry a small balance and only buy things you would normally have to buy regardless, then you should be fine with managing your credit. 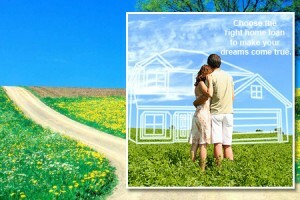 In three to six months you should be on your way to having great credit to buy a Phoenix home. Also it is important to note that it is a good idea to keep your cards for the duration. Don’t cancel one and hop to another just because they offer you a short term introductory rate. Try to negotiate the rates with the cards you have. Overall the length that you hold each credit line open will impact your score, i.e. the longer the better. This will in turn possibly get you better home loan rate when buying a Phoenix home and possibly a quicker approval process. Many cards offer a cash back option. This means for every dollar you spend with the card (even when you pay the balance off in full each month) you will receive typically 1% or 2% cash back. So lets say you spend $2,000/month on groceries, food, gas, medicine, clothing, etc. you would have earned $40 cash back which is $40 more than you would have made if you bought the exact same items but just paid cash for them. This post is not intended to be in any way a form or financial and/or credit counseling and it is advised you see a professional finance/credit specialist for further insight or questions regarding your credit prior to buying a Phoenix home. We have plenty of wonderful referrals! I hope so far you are finding this 11 Steps to Buying a Phoenix Home Series helpful and I welcome any comments you may have below as we move through the series. Common Costly Home Buying Mistakes You Must Avoid! Do You Make Any of These Common Home Buying Mistakes? What Every Homebuyer Ought to Know About Avoiding These Costly Home Buying Mistakes! John was excited about purchasing his brand new home, but he was preparing to make one of the most common home buying mistakes made by would be home buyers. John thought driving up in his brand new car would be a great idea. The ‘new car’ smell was mesmerizing and the vision of the wind flowing through his wife’s hair as they cruised through their new neighborhood with the top down became irresistible. He drove off the lot with a big joyful smile and a gleam in his smiling eyes. Unfortunately, his smile soon turned into a frown of sadness when his lender informed him his new car purchase showed up on his credit report right before they were getting ready to fund the loan and close. John’s car purchase had just disqualified him from his new home loan. Indeed, costly home buying mistakes like this happen every day. The new car monthly payments were added into John’s monthly expenses and raised his debt to income ratio to a higher level, immediately disqualifying him A very sad state of affairs, but common home buying mistakes like this are all too common I hate to say. These type of home buying mistakes are very costly, but are not isolated to just new car purchases. Home buying mistakes also occur when would be buyers want to have things in order and finance appliances and furniture in advance of closing on their new home loan. Even racking up charges on your charge cards can increase your debt to income ratios enough to disqualify you for your new home loan. Recommended: avoid these common home buying mistakes by eliminating all major purchases as much as possible before purchasing a home. If you must make them, check with your lender first and have them re-run the numbers to make sure you don’t end up spending the night in your convertible instead of your new home, like our poor friend John. Costly home buying mistakes made by many would be tenant buyers lately is to hand over their down payment money directly to the for sale by owner. It looks like a great deal, buying direct from the owner, the price seemed right and the owner was willing to work with you on accepting a fair rent until you were able to qualify for a loan to finish the purchase, but one of the most common (and costly) home buying mistakes was in the making. One day, typically a real estate agent, knocks on your door asking if you are the owner. You explain you’re the tenant and are purchasing the home from the owner and the agent goes on to inform you the owner has been foreclosed on, asks to view your lease and offers you a relocation assistance program to help you with your move from the new owners at the bank. I’ve personally seen these type of home buying mistakes made time and again. One would be tenant buyer gave someone posing as the owner, not only their down payment money, but their first and last months rent. Ouch! Recommended: Use a real estate agent to help you avoid these common home buying mistakes that are running rampant right now with all the foreclosures happening. At worst, get your down payment money into a 3rd party escrow account, so access to the money can’t be gained by either party until either the house closes or the deal falls through. You may want to also screen the owner and get some credentials from them to prove who they really are and check the county recorders office to see if a Notice of Foreclosure Sale has been filed. Search the tax assessor and county recorder websites to find out who really owns the home and don’t ever hand over cash money to the owner, one of the very large and costly home buying mistakes. Believe it or not, some home buyers actually forget to have their utilities turned on in their new home before they move in. Of course, Murphy’s law is in full effect, as this usually is discovered on a late Friday going into a weekend when no one is going to help you until Monday. That makes for a very uncomfortable inauguration into your new home, especially at 110 degrees in Phoenix, Arizona or in the dead of winter with no fireplace. Recommended: make a note to yourself to arrange two things: (1) turning off utilities at your old residence and (2) getting them turned on at your new home. Having a good real estate agent to look out for your interests as you go through the process of buying your new home is an extremely important asset you don’t want to overlook. Their services are paid for by the seller and they can literally save you thousands of dollars in grief avoidance with their expertise in helping you avoid not only these, but many other common (and costly) home buying mistakes made by would be home buyers. It’s their job to keep up with all the details of the transaction from day-to-day, and keep everything moving smoothly and on track towards the exciting day of closing. They help shield you from a great deal of the frustration associated with buying a new home and help you stay up with the requirements of the lender as the home progresses to closing too. They arrange home inspections, remind you to turn on utilities and keep things on track. 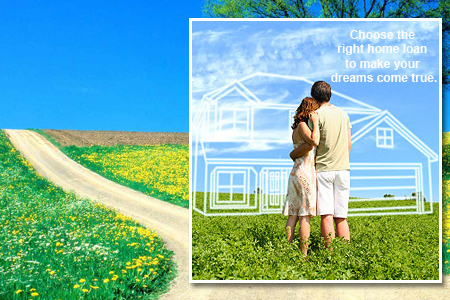 Many home buyers fail to do this and then find themselves way behind in the process at the very last minute. This can sometimes lead to delay or even cancellation of the transaction. Recommended: take care of your side of the fence by staying on the same page as the lender all the way through the process. The better educated you are about potential and costly home buying mistakes you could make when buying a home, the better chance you have to keep the entire home buying process cruising along smoothly toward a successful close. By the way, after you’ve closed and you want the wind blowing through your hair in that new ragtop, go for it knowing you have avoided those treacherous common costly home buying mistakes.